If you pick up this novel expecting a light summery romance, then you may be surprised to discover what an emotional, slow digesting, impressionable story these characters weave. The Boy Most Likely To definitely should be read after you've experience My Life Next Door. Though it is not a continuation of the previous story, themes from the first novel definitely carry over and its best, in my opinion, to have read that book first to better understand the basis for this one (and also to avoid spoilers). Tim has always been labeled as the guy most likely to become a drop out and lose himself in the bottom of a bottle. He's been sentenced to six months to get his act together, by his father, or else his college funds will be cut off. Without a plan, or even a clue on how to rectify this situation he's found himself in, he moves in to the garage apartment of the Garrett's household. His best friend Jase is the only person he can rely on, but it's Jase's sister Alice that catches his eye and forces him to make a plan, whatever that may be. Alice is the oldest daughter in a series of brothers and sisters. She's played secondhand to her mother and father her entire life; helping out with meals, carpooling, babysitting, and now managing the bills. It's a lot for a just out of high school girl to take on, but it's her family and they are who come first. When Tim moves into the one place she was suppose to find her own solitude in, sparks fly and resistance is tested. All signs point to staying away from Tim, yet Alice seems to be gravitating towards him more and more. Without giving away a huge plot line, I will say that both Tim and Alice find obstacles stacked against them. Consequences from Tim's past come crashing into his already debilitating life. He finds solace and support in the most unexpected places, even when he thinks he may not deserve it. The relationship between Alice and Tim was definitely a slow, deep in the belly, sort of burn. Witnessing their struggles both individually, and together, plays a key role in propelling this story forward. I could not take my eyes away from the reality of what their worlds had become. The emotional depth that this novel surfaces is both engrossing and heartbreaking. The Boy Most Likely To presents its characters with flaws and misshapen exteriors, yet beautiful and intriguing. It also puts forth a message of how family can be found in the most unexpected places. The Garrett tribe is one of my most favorites in all of the books I've read. Huntley Fitzpatrick's ability to write each character with such individuality, yet not abandoning the story, amazes me. These relationships are brutally honest and real, the type of family you want to find yourself in. Reading this novel was like coming home to a place so warm and familiar, yet unexpected and fulfilling. It is definitely one of my favorites of the year so far. Yep. Loved it. Loved Tim. Loved Alice. Love those crazy Garretts. I really enjoyed getting to know Tim better in this one! 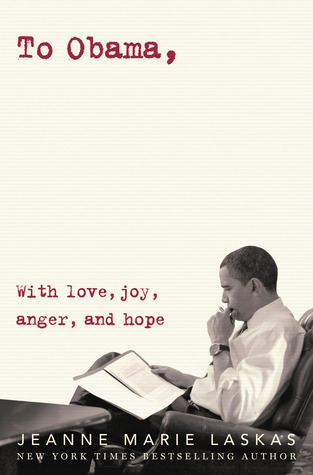 It was such a treat for me to really see his strengths and vulnerabilities, and I think it was so well-done. And seeing the Garrett family was so fun too! 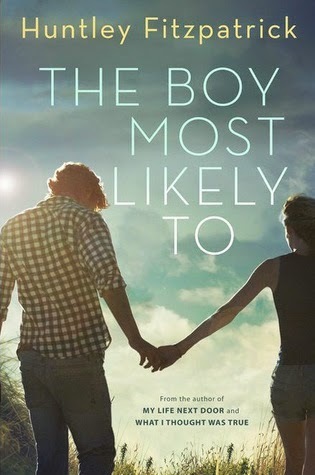 I loooooved My Life Next Door, so (obviously) I can't wait to read The Boy Most Likely To! I'm definitely due for a re-read before I pick up this one. I can't get enough of the Garrett family. I was slightly disappointed that one! I went in expecting a light summery romance like MLND and got something entirely different. Not that what we got was necessarily bad, I just wanted something different for Tim's story. I pretty much hated his main story line. BUT Tim and Alice were great together and it was so nice being back with these characters!